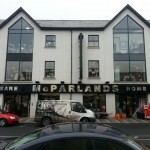 McParland’s of Newry, Northern Ireland, has over 35 years high street retail experience, specialising in an extensive range of quality giftware, home accessories, furniture and hardware. McParlands strive to stock the best quality goods and we are committed to addressing the needs of our customers. On 11th February 2006, McParlands store in Monaghan Street Newry, was completely gutted by fire! We had suffered a flood a few years before, but this was no doubt the most difficult time in our history. With the help and support of friends, family, customers and business associates, we rose from the ashes to reopen with a brand new showroom, and we have gone from strength to strength ever since. 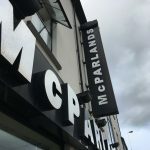 McParlands.ie is the latest venture of our family business and we aim to build as successful a store online as we have on the high street – with your help of course! So please enjoy browsing through our website, and we hope to see you again in store too!